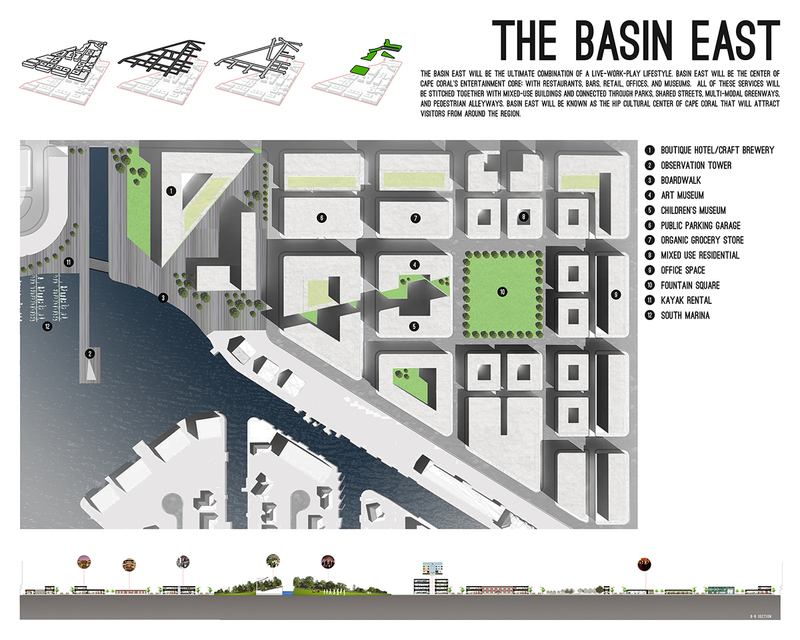 Today, many mid-sized cities in the United States are searching for ways to be more self-sustaining, manage anticipated growth, increase economic development, maintain and expand infrastructure, encourage business and industry, improve community health, balance issues between the natural and built environment, plan for resiliency, and provide a high quality of life for residents. The city of Cape Coral, Florida is confronted with these tasks and no longer wants to be viewed as a “bedroom community” for Fort Meyers. Cape Coral is looking for its own identity and vision for the future. The Bimini Basin area provides a unique opportunity for Cape Coral to catalyze development that will leverage existing city assets with community aspirations. 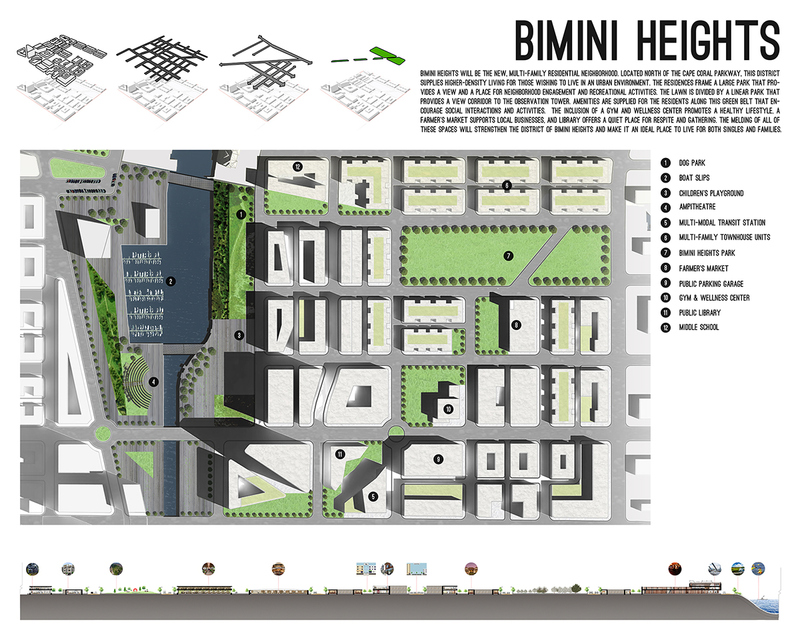 The Bimini Basin is ideal as a nodal destination for a mixed-use commercial center. This center would radiate from the Basin through Cape Coral Parkway to expand into the existing fabric of the largely single-family residential neighborhoods and provide a variety of uses and amenities for the residents. 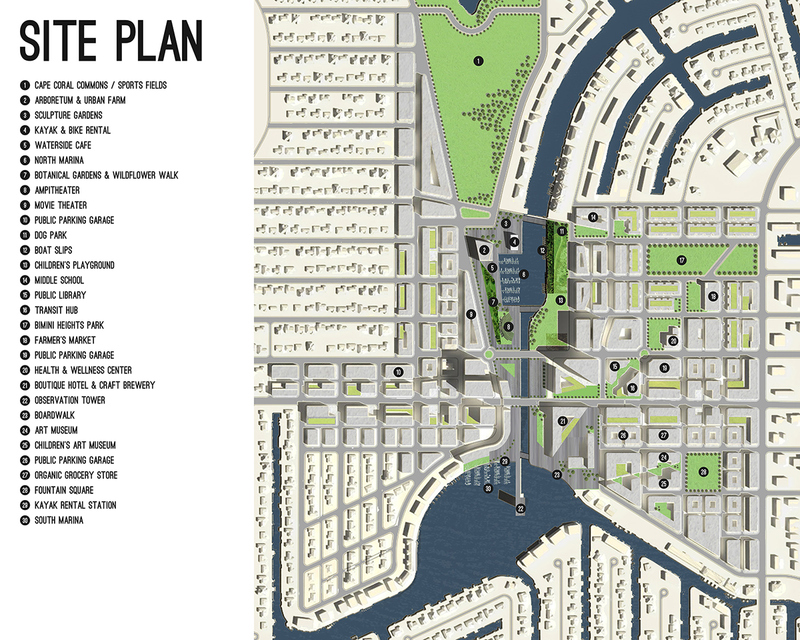 CANAL WORKS leverages the revitalization of the Bimini Basin area against its potential for growth city wide. 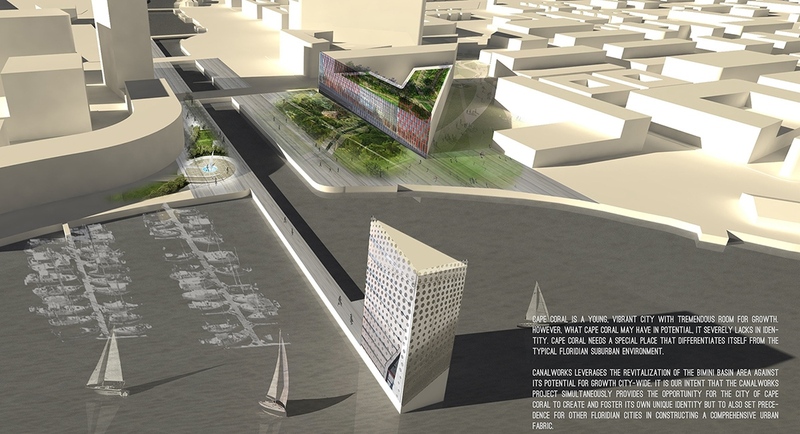 This design proposal offers opportunities for the city to create and foster its own unique identity and set precedence for other Floridian cities in constructing a comprehensive urban fabric. 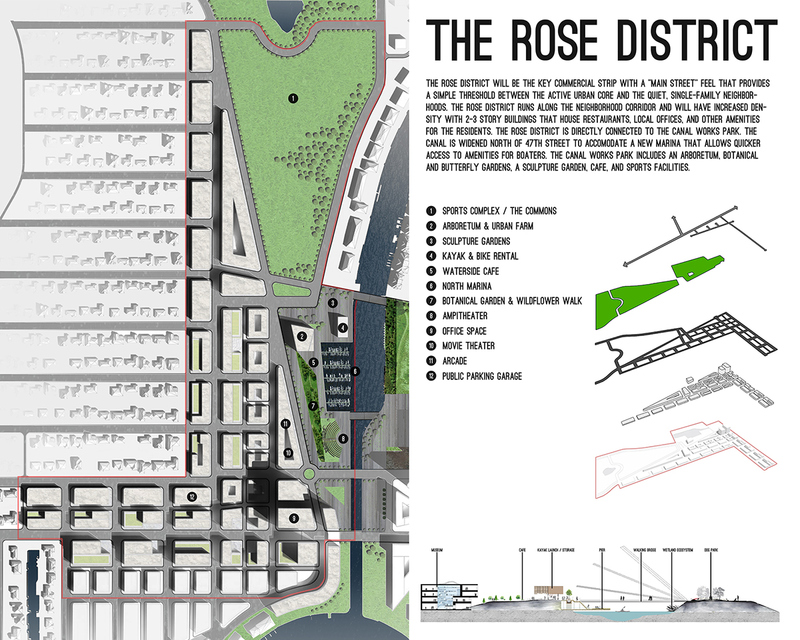 Canal Works focuses on connecting the districts through parks, shared streets, multi-modal greenways, and visual site lines. The entertainment district will incorporate the live-work-play lifestyle and attract the younger generation with walkable streets and local businesses and restaurants. 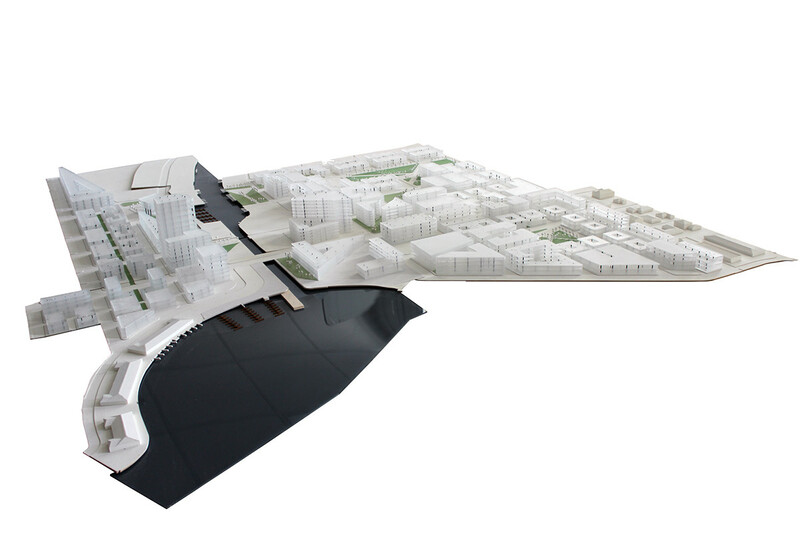 Two marinas will be located in specific locations to give people access to the botanical gardens, cafes, movie theaters, offices, and other amenities. 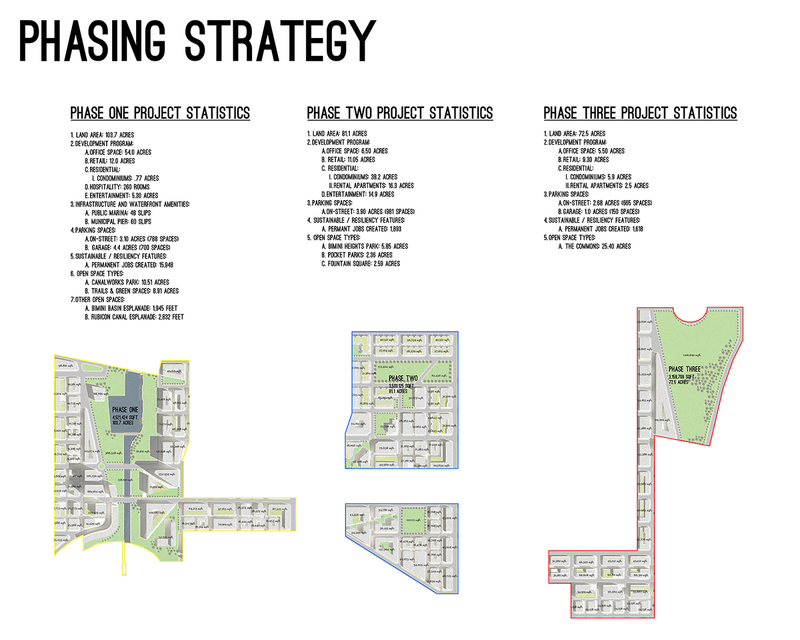 A variety of multi-family housing types will increase density and attract a variety of age ranges. 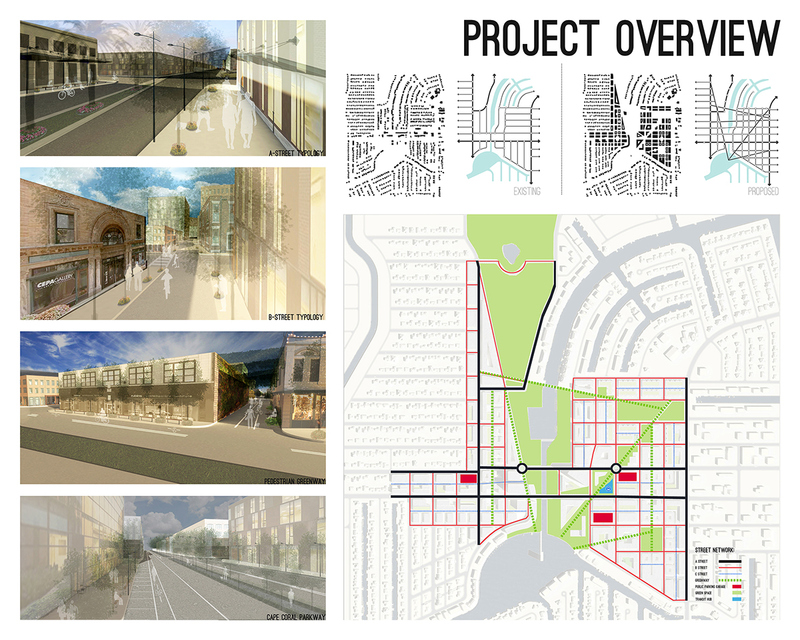 Walkability will be encouraged through wide sidewalks, shade trees, and good infrastructure.